I have a love-hate relationship with holiday clothes...especially holidays like Halloween, Valentine's Day, St. Patrick's Day, etc... It's fun for the kids to have something to special to wear, but it seems like such a waste to have an outfit that they can only wear for a few weeks...not that it's stopped my kids from wearing Halloween shirts all year...I'm just sayin'. So I made Little Brother this Valentine's shirt...that he can wear all year. Recently I saw this post from Jane on Out of the Crayon Box. It's a post from way before I started reading blogs, so it's new to me, and I just loved the design of the patterns. So I was laying awake that night and somehow all the ideas floating around in my head melded into this. Just goes to show, boys can wear hearts to. I think the cars and the simplicity of pattern came together well, and the distressed look gives it just the right touch. 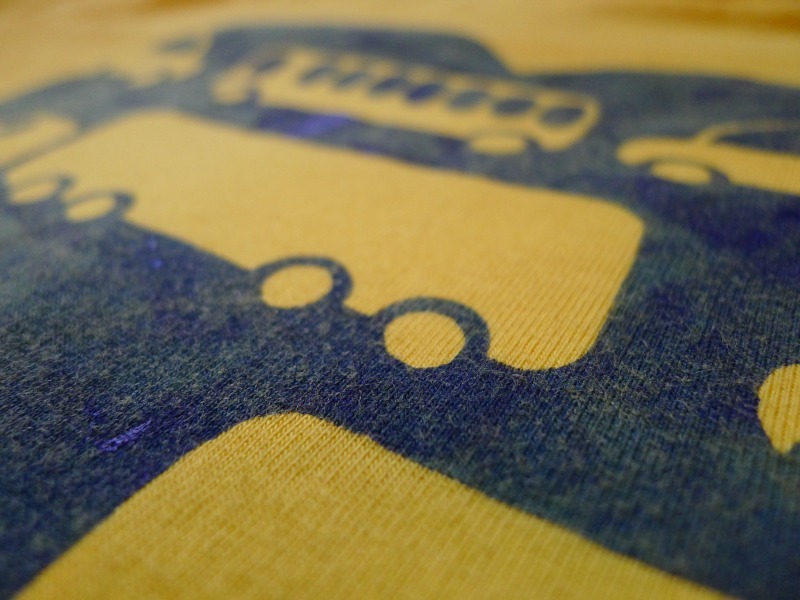 After the gyrocopter shirt troubles, I wanted to give regular acrylic paint one last try...and it worked pretty well for this project. The patterns, given at the bottom of this post. Cut your freezer paper down to size to fit through your paper. 8 1/2 x 11 will work for printing the heart. 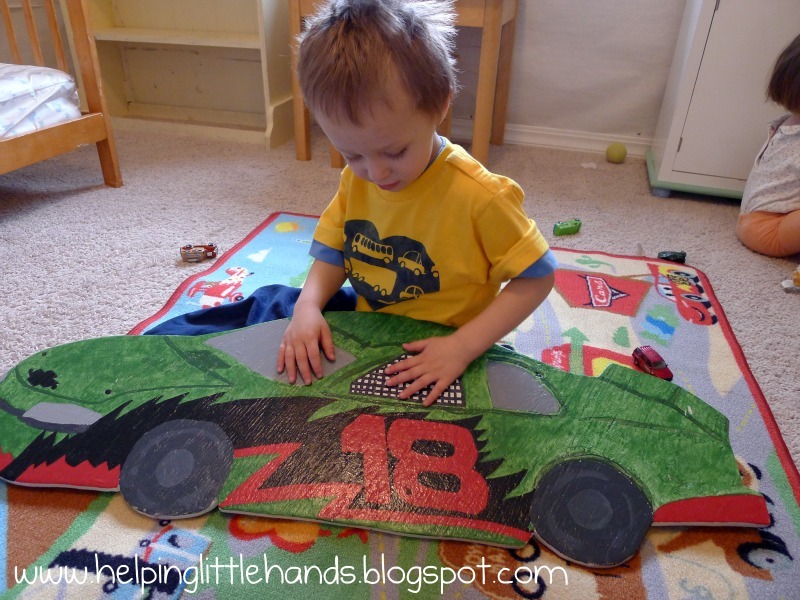 You'll need a piece that is 8 1/2 by 14 or so for printing the cars. 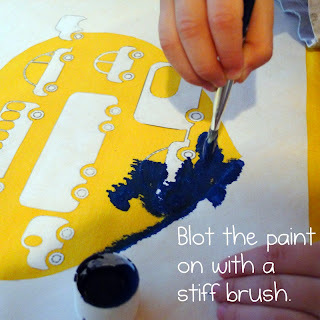 Wash in the washing machine to loosen up the fabric and remove the paint smell. 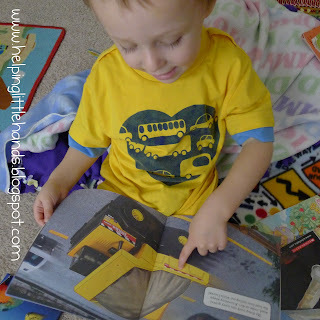 And read some book (about cars of course) in it. And Little Brother was excited to find this awesome car at Goodwill...and I was excited it was only $1. Now we just have to find the right way to incorporate it into his room. Now for the pattern itself. I found some cute car sillouhettes here. I used Picnik to edit them and get black and white line drawings instead. (Because I didn't want to use all that colored ink printing them out.) I used the heart shape from here and enlarged it. Click here for the printable pattern for the Car Love HEART. 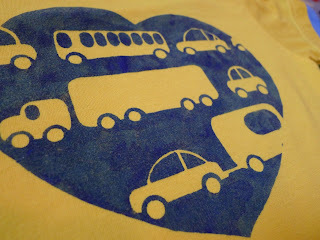 Click here for the printable pattern for the Car Love VEHICLES. Looking for another Valentine idea for your boy? 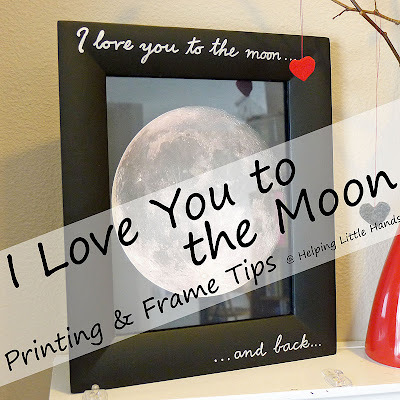 You might like this "I Love You to the Moon" Tutorial. Click here for more Valentine Tutorials. This is a great idea! I will have to use it sometime soon! Very impressive! 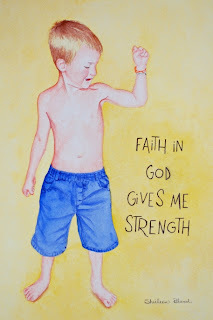 I like the idea of going with the distressed look for boys! Cute, cute, cute. 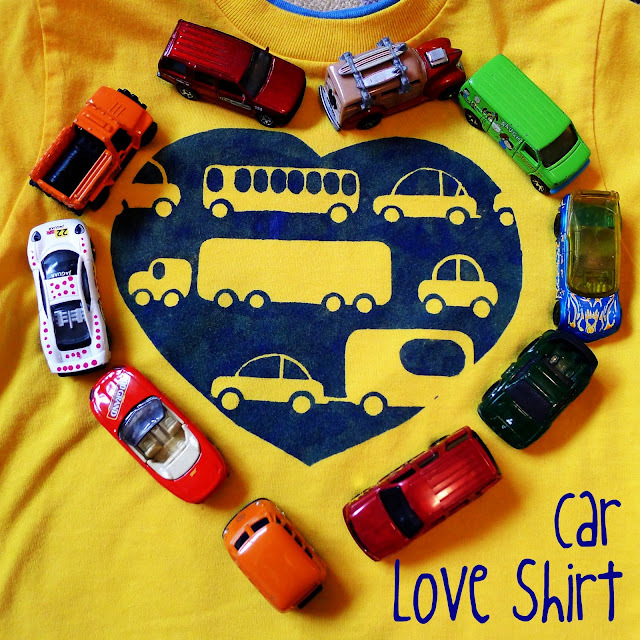 What a great shirt for a car-guy. This is awesome! My little guy would LOVE LOVE this. The colors you used are perfect too! So so cute!! My two boys both love cars - what a great idea!! Wow. This looks great. I am hosting a giveaway on my blog. Would love for you to stop by! Oh wow. That is terribly cute and very effective! Love the simplicity if your technique! oh I love those cars!! I think my Jojo would like a shirt like that!! Thanks so much for including the stencil too!! That turned out great! I love holiday shirts! 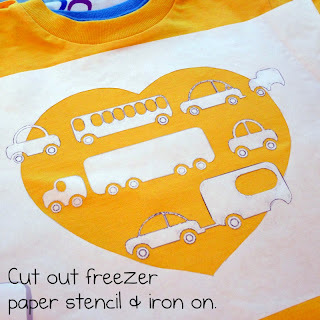 I have seen so many cute shirts done with freezer paper stenciling! 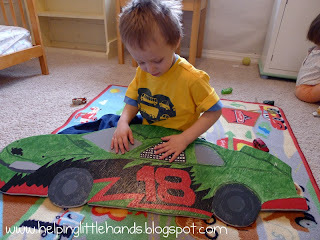 I love this, and it's nice to see a cute craft for mommy's of boys! I featured this on my friday favorites! 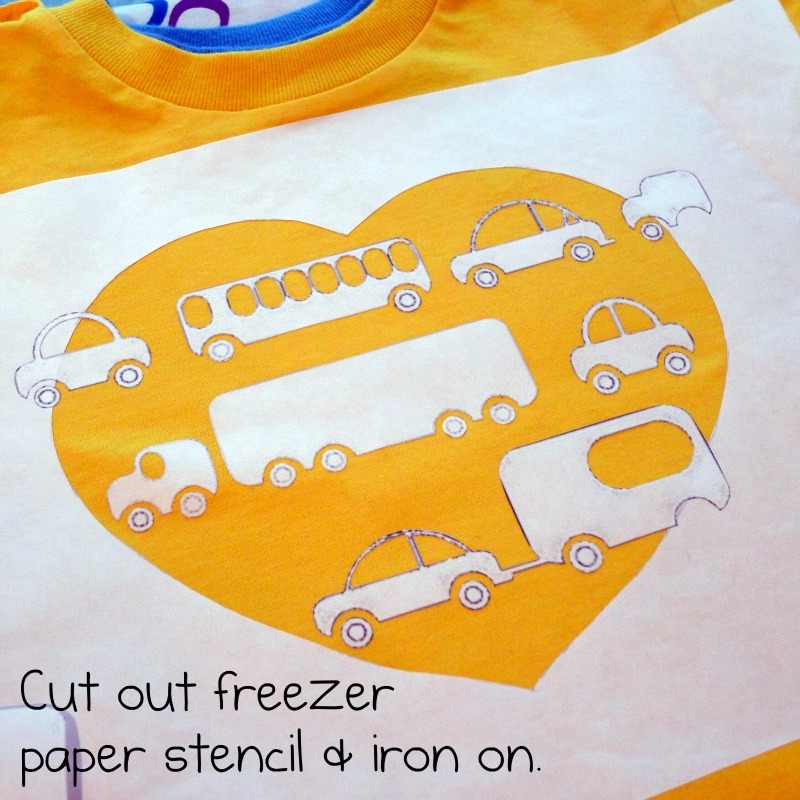 i've never tried freezer paper stenciling but my son just went bananas over this shirt-his favorite thing is cars! so cute! 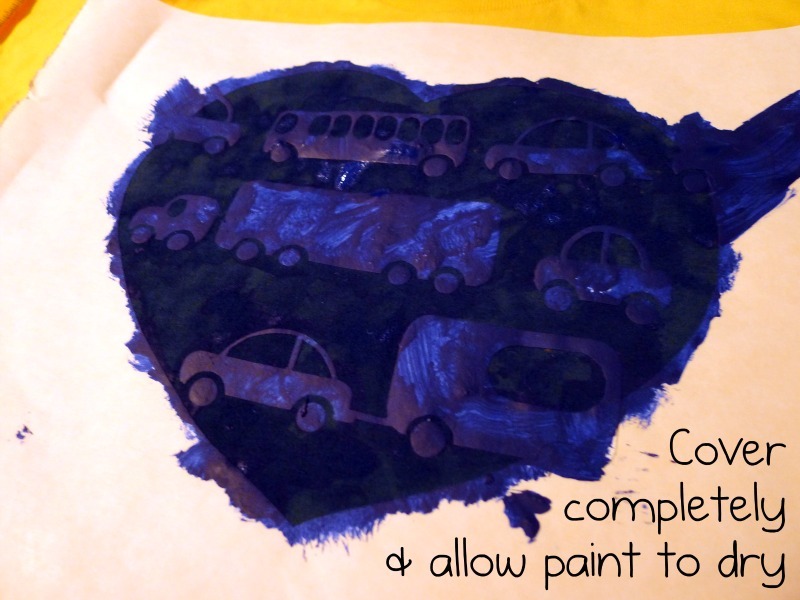 So cute - the boys always get left out of the fun for Valentine's Day so I love this tutorial!! Thanks for sharing the templates! This is adorable! I can't wait to try it- I have 2 boys. I love that it can be worn all year- not just February! This is so neat! I'm going to try this maybe today. 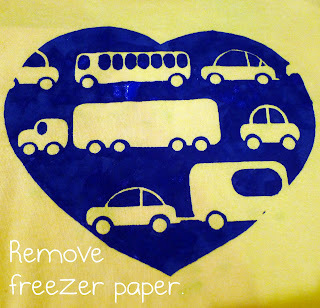 I've never used the freezer paper for ironing on...we'll see if I can be as crafty lol. That is so adorable! And gives me so many ideas! 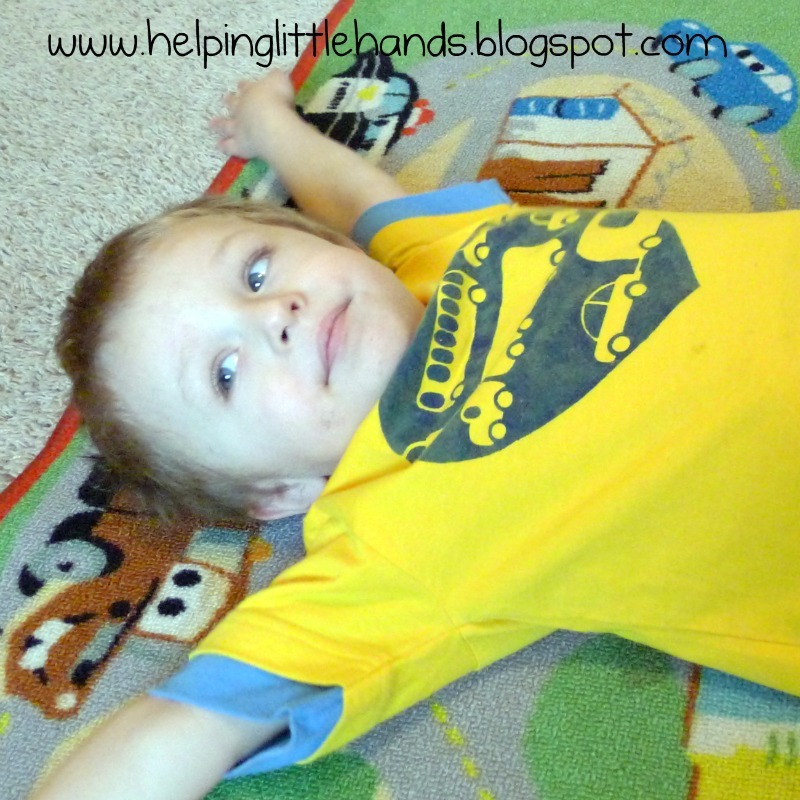 I would love for you to come link up with me as well if you haven't stopped by yet! Best link each month gets prizes! I did my first stencil today, thanks for the great tutorial! I don't have a blog (no time since I'm doing all the great crafts you ladies show!) 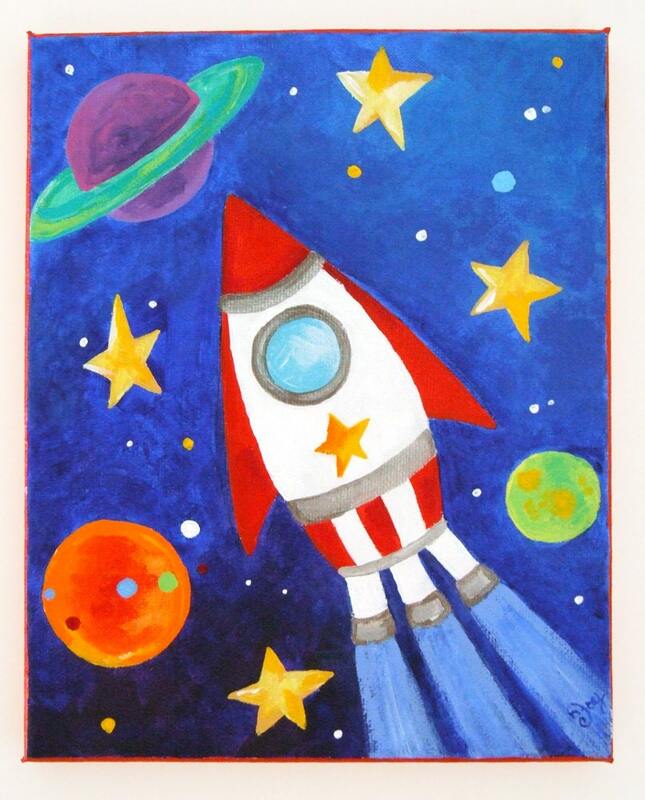 but here is a link to my facebook :) Thanks, Polly!!! Be sure to add the DIY Club button. Lovely post. Your kid is really a prince. Hope for his best. Arrived via your Favorite Projects of 2011 post at TCB...cheers! Such a absolutely wonderful design! its fantastic... I may just have to make something similar for my boys this valentines. I love, love, love this shirt!! 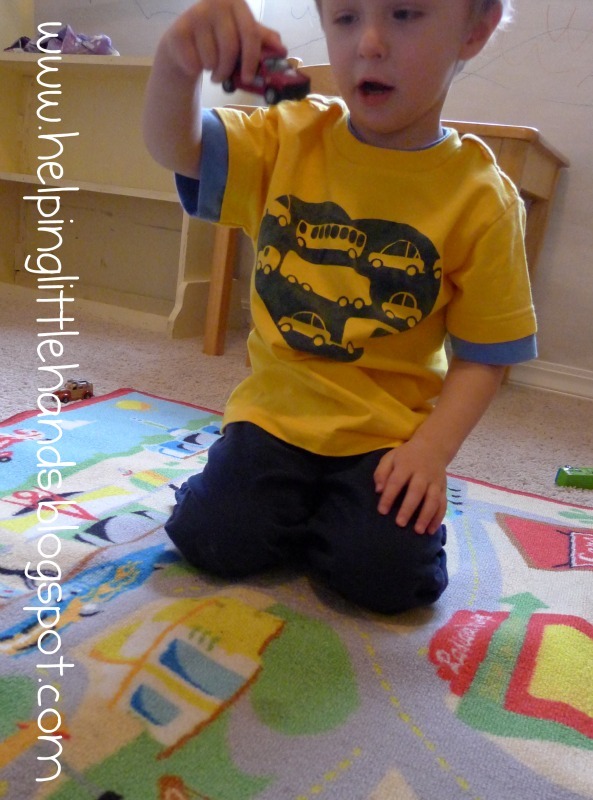 I am featuring on my blog! Fantastic! Thanks for all the details on the process. I did always love to fabric roads whatever there occurs happening and also i like good result in short time like you have made simple design but really fanatic and eye catching as well.